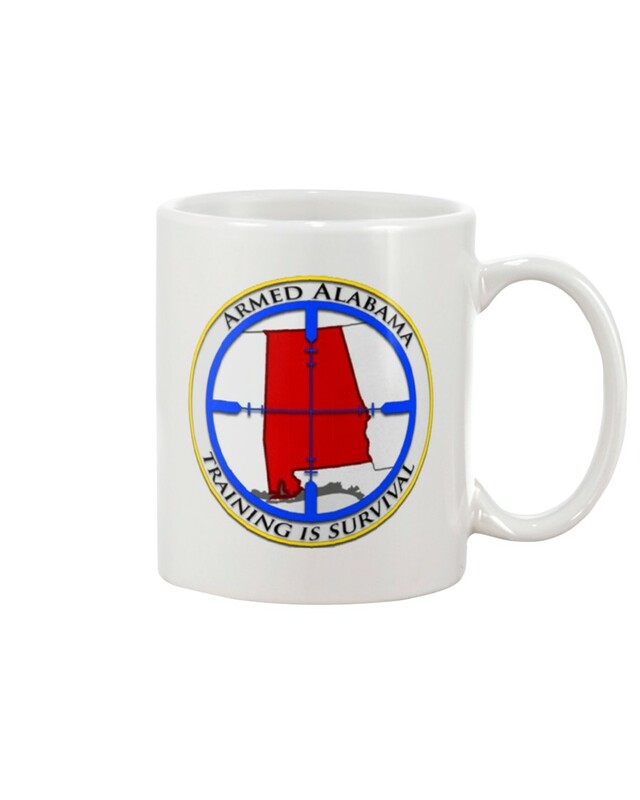 Marvelous mugs from Armed Alabama, designed and imprinted in the USA, and sold exclusively byArmed Alabama. This traditional 11 ounce white ceramic coffee mug is perfect for any hot beverage. Wide mouth and large C-handle allow for easy, every day use. Whether drinking your morning coffee at work, or sipping on a hot cup of tea at home, this mug is up to the task. Microwave and dishwasher safe for your convenience. All designs are lead free. Designed exclusively byArmed Alabama and shipped exclusively fromArmed Alabama.